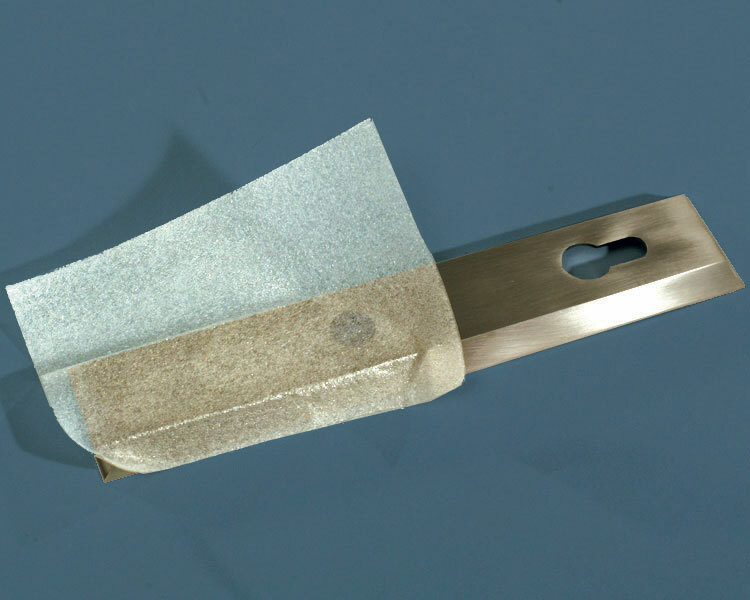 Provides fast, effective and inexpensive protection for fine or delicate finish items, like metallic coated hardware, to prevent scratches, dings, and damages in transportation. PROTEK™ ALLwrap pads provide the protection you need to ensure your hardware looks as good as it does when it comes off the production line. Simply peel off a section of ALLwrap and apply it to the surface you want to protect. The residue-free adhesive will remove cleanly, time after time. For irregularly shaped items, simply hold the pad in your hand, adhesive side up, and wrap your hands around the piece to be protected. PROTEK™ ALLwrap takes care of the rest. Adhesive ALLwrap is supplied self-wound (meaning there’s no liner) in perforated or non-perforated rolls, as well as die-cut sheets or custom shapes. Just let us know what you need! PROTEK™ ALLwrap is a self-adhesive, translucent, low density Polyethylene foam with removable adhesive on one side. Our residue-free adhesive provides plenty of stick to stay in place, but removes without residue from practically any surface. PROTEK™ ALLwrap foam is puncture resistant, non-abrasive, and recyclable.